A decade or two ago, homepages were king. Back in the days of AOL commercials, being a major tech company meant you had your own homepage, and these served as one-stop-shops for news and information. Yahoo, to this day, keeps that trend alive. But the readers just aren't there like they used to be. 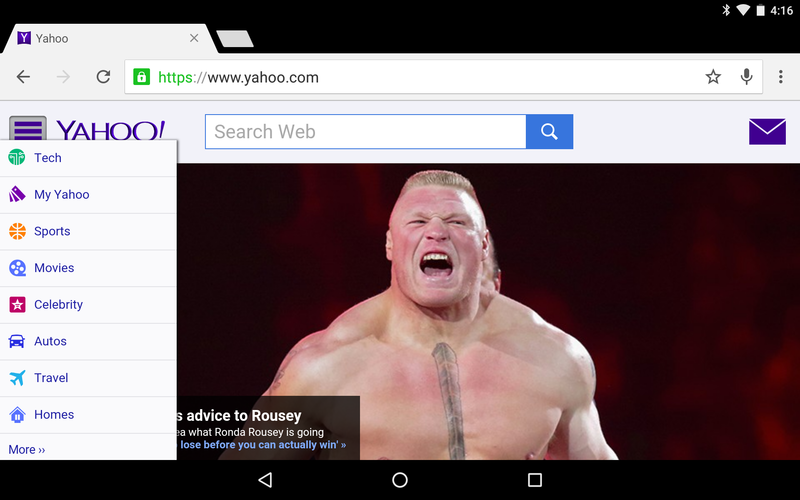 Because of this, Yahoo is scaling back the content that appears on Yahoo.com and inside its mobile apps. Going forward, it will focus on the four sections that have maintained the most interest: News, Sports, Finance, and Lifestyle. The rest won't be around much longer. You can still see them if you visit the site right this moment, but Yahoo is beginning the process of fading out Yahoo Autos, Food, Health, Makers, Parenting, Real Estate, and Travel. Yahoo says that while these "Digital Magazines" are going away, you will continue to find some of these topics covered on the site.